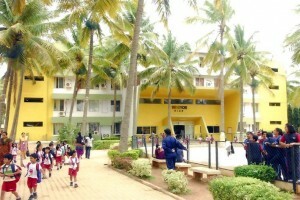 The International School Bangalore (TISB) is unarguably one of the most reputed schools of Bangalore. Students in TISB aim to go abroad for their graduation. Jain Heritage school located in Hebbal offers both CBSE and IGCSE curriculum. Jain is known for being one of the top educational groups in Bangalore. Redbridge International Academy is located in Jigani, Bangalore. It offers CISCE, CIE and ICSE curriculum. Shree Swaminarayan Gurukul International School is on Mysore road, Bangalore which provides world class education catering a well designed curriculum like CBSE, ICSE, IGCSE and PUC. Vibgyor High in Bangalore offers options to the students to pursue his or her studies in a variety of streams, including ICSE, CBSE, and IGCSE. Asia Pacific World School on Sarjapur Road, Bangalore offers personalized education and a close partnership with parents.